Colour woodblock print, from the series 53 parallels for the Tokaido Road, c. 1845-1846; Robinson 1982, S44/5. 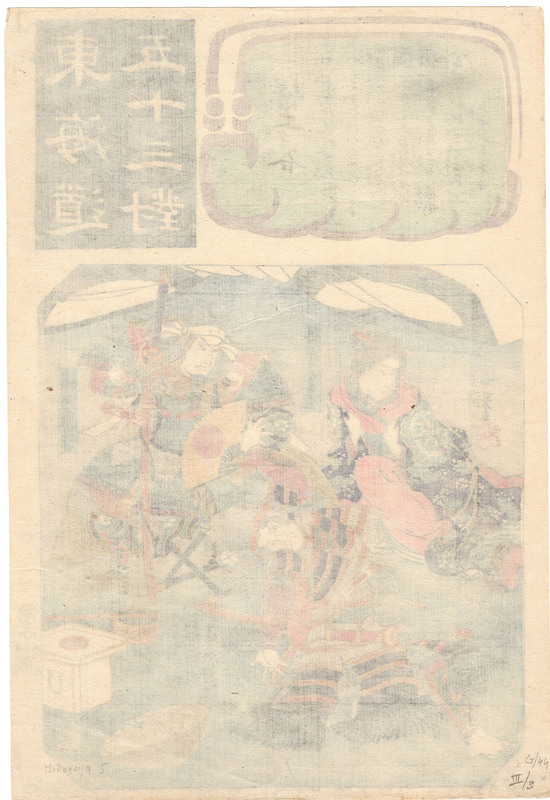 This print published by Yebiya Rinnosuke. Signed Ichiyusai Kuniyoshi ga, sealed with the red kirimon. Censor: Mura. Very good impression and colour, in very good condition, backed. 367 x 249 mm. 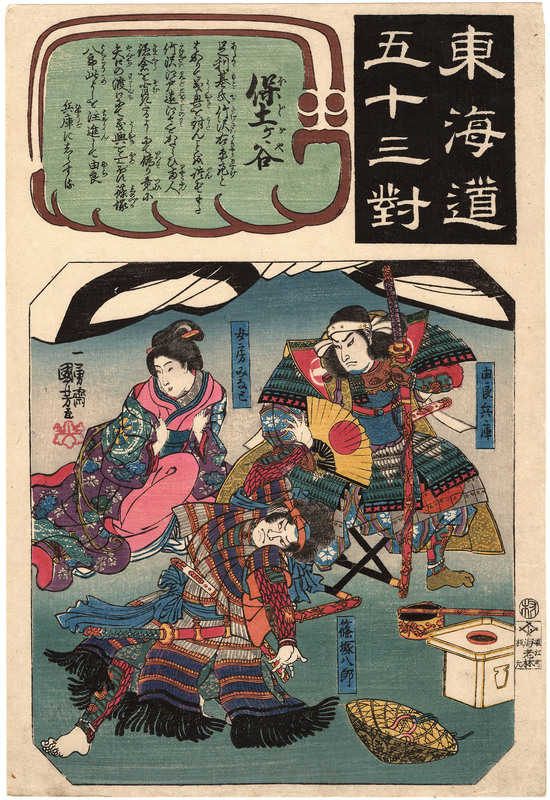 The son of a silk-dyer, at the age of fourteen Kuniyoshi joined the Utagawa school, then headed by Toyokuni I. Kuniyoshi achieved his commercial and artistic breakthrough in 1827 with the first designs of the series the 108 heroes of the Suikoden. This series, based on an old Chinese novel from the 14th century, was about rebels and bandits. 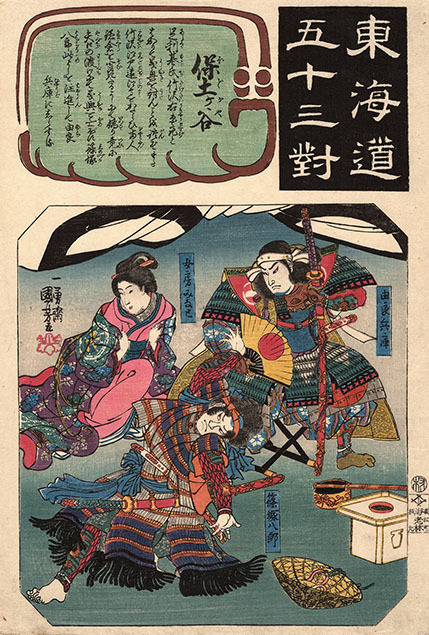 The artist designed many other successful prints of warriors and heroes and was even nicknamed Warrior print Kuniyoshi, but in fact he contributed to every branch of Ukiyo-e: theatrical prints, legendary and historical subjects, women, landscapes, comics, surimono, fan-prints and book-illustrations.